At 10, kids are no longer little anymore. What are the best gifts for 10 year olds? We listened to the experts, kids who are 10, and came up with this list of gifts. Double digits! Turning 10 is a big deal. In the fifth or sixth grade, 10 year olds are almost teenagers. It’s the time when kids are defining who they are. That’s why shopping for tweens and 10 year olds can be difficult. What are the best toys for 10 year olds? At age 10, look for gifts that reflect their personality, considering their hobbies and interests. Kids want to be like their friends but also march to their own beat. 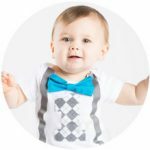 Need help finding Christmas gifts or Birthday gifts? From design your own trend kits to gadgets galore, consider these gift ideas inspired by actual 10 year olds. Bling it on! One of the most popular gifts for 10 year old girls are DIY kits for making jewelry or perfumes, doing nail art, or making beauty supplies. Friendship bracelets or necklaces that she can wear or share with her BFF make excellent choices. 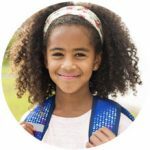 With these DIY fashion kits, girls will love to design their own trendy fashions or make them with their friends. How would you like to make your own lip balm? With this DIY Lip Balm kit, you can. The kit contains everything you need including beeswax, 4 flavors, shea butter, and almond oil. There are enough supplies to make over 20 lip balms. The set has everything you need to make nice high quality and thick friendship bracelets. The kit includes the complete instructions but you can also watch videos online. 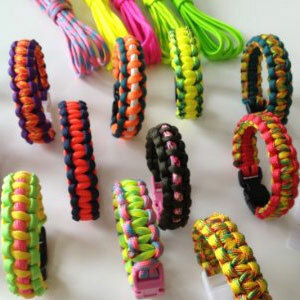 Both girls and boys will love these vibrant colored bracelets. 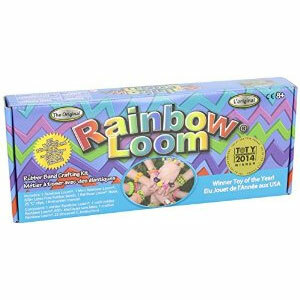 When it was released, Rainbow Loom became an instant hit. 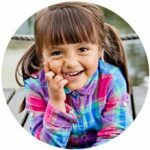 The kit allows children to create all types of jewelry out of rubber bands. This starter set has everything you need to start crafting your own rubber band jewelry. Get all duct out with this great kit from Alex Toys. Creating fun patterns and sticking duct tape on everything is part of the fun. 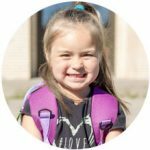 With 12 rolls of duct tape and the included templates, kids can create their very own duct tape fashions including bags, earrings, hair clips, and more. How would you like to personalize your own little bag? 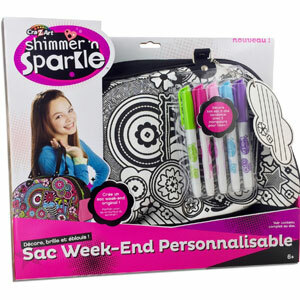 Simply use the included fabric markers and presto you have got your own personalized tote perfect for slumber parties or on the go fun. What’s sweeter than candy? 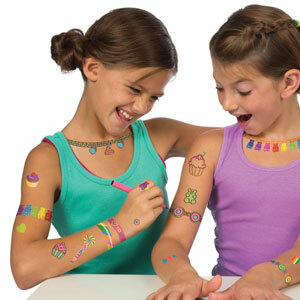 These temporary candy inspired tattoos from Alex Toys. With cupcakes, lollipops, ice cream cones, there are over 136 designs to choose from. Simply place the tattoo outline on the skin then decorate it with the included markers and glitter. It’s a sweet gift. Why buy jewelry when you can make your very own? 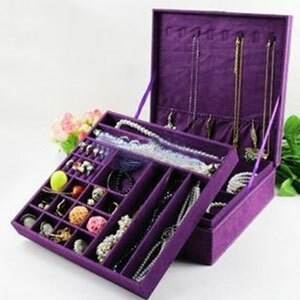 With this 31 piece jewelry kit from Alex Toys, you can make a variety of bracelets and necklaces. The kit contains everything you need to personalize your own jewelry. The party is just starting with the Spa Hair Chalk Party from Alex Toys. 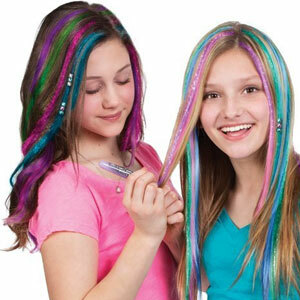 With 12 colors, girls have everything to add a little flair to their hair. For a bolder look, add the decorative metallic beads. Best of all, it all rinses out with shampoo. If you have an artistic 10 year old, they are going to love making their own arts and crafts with these gifts. 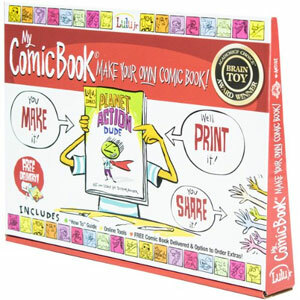 From illustrating their own comic book to crafting their own art supplies, these gifts are sure to tap your 10 year old’s creative buttons. 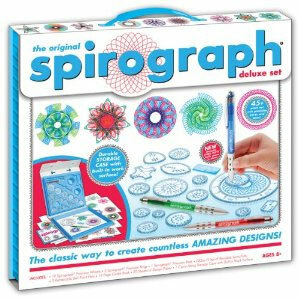 For over 50 years, kids have been using Spirograph to create beautiful spiral designs. The toy combines art and math to create some of the most intricate designs. Simply use the included gears and wheels to create whirling designs. The possibilities are endless. What if you could create your own comic? Now you can with My Comic Book. The kit contains everything you need. Simply use your super powers to draw out the comic illustrations on the provided pages. Then mail it. Viola! In a few weeks, you’ll get a professionally printed comic book. Want to learn how to stitch? With this giant pillow craft kit, kids can. Everything you need is included inside. All of the pieces come pre-punched for easy sewing. Best of all, once you are done it can be used to decorate your personal space. 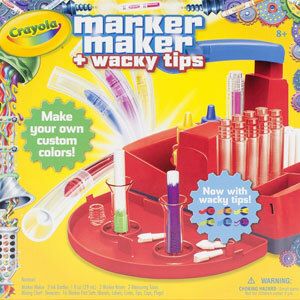 Why buy markers when you can make your own with the Crayola Marker Maker? The set has everything you need to make 16 markers. You can even change the marker tips. Kids can use the included guide to mix colors or create their own fun colors. This art set is huuuuge! Every little artist needs supplies and with this set you will have no shortage of supplies. There are over 315 pieces of color here. 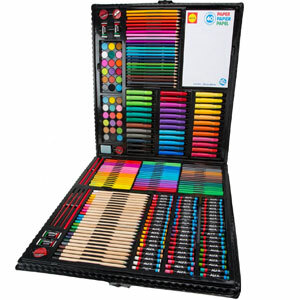 It comes with crayons, pastels, fine tip markers, water colors, jumbo markers, colored pencils, paintbrushes, and more. Imagine getting this as a kid. It’s colossal. There is no better way to capture early childhood memories than with a scrapbook. This award winning scrapbook kit from Alex Toys contains everything you need to design and decorate a colorful scrapbook. With 380 pieces, there are so many fun crafting supplies included. 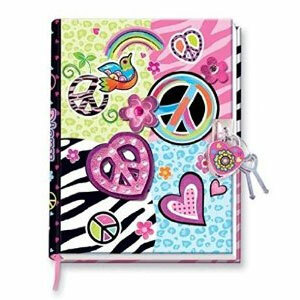 Fill all the pages of this 40 page spiral bound notebook with stickers, photos, drawings, buttons, and more. Apple, Fruit Punch, Blueberry, Tropical Punch and Grape– No these are not juices. 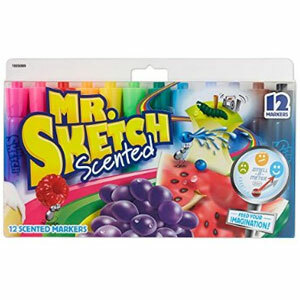 These are fun scented markers that smell great and seem to last forever. It’s Papercraft! 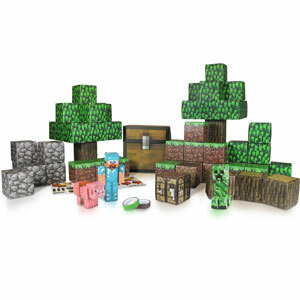 Kids will enjoy this craft kit that will have them building Minecraft blocks out of cardstock paper. 10 year olds are all about getting the latest high tech gadgets and keeping up with whatever their friends have. If the budget allows it and you want to spoil your kids a bit, think smart phones, tablets, and cameras. 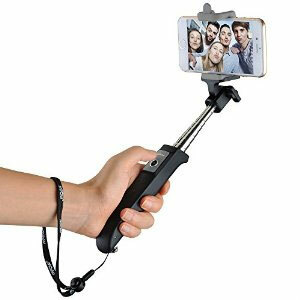 Extend your reach with this selfie stick from MPow which will give you flattering perspectives for selfies. Nobody will know you took the photos yourself. This well made bargain connects to your iOS or Android phone using Bluetooth. Simply press the button to shoot photos. When you are done, the 7.2 inch telescoping stick collapses to fit snugly in your pocket. Wouldn’t it be cool if you didn’t have to worry about your cellphone dying? 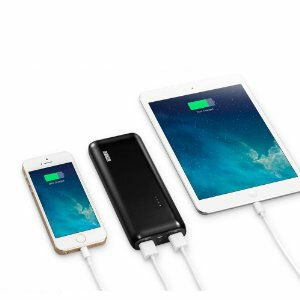 This pocket sized usb charger from Anker gives you enough juice to charge your phone up to 2 times. So you can get back to texting your bestie. Got a 10 year old? With the GoPro camera, they will be on top of the world. 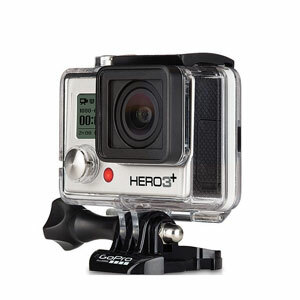 With the GoPro, they can capture their most daring adventures and upload it to YouTube for their friends to see. Remember the Polaroid camera? It’s been updated for today’s mobile phones. 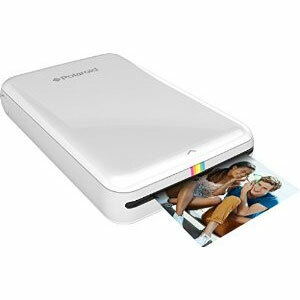 This mobile printer for iOS and Android devices allows you to print pics anywhere and at any time. No waiting for film to develop. Instant pictures and fun. You don’t need to spend a lot for a tablet with the Amazon Fire HD 6. 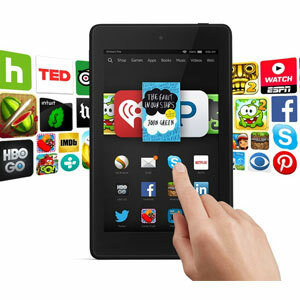 Available in many fun colors, this full fledged tablet comes in a 6 inch screen. With a quad core processor, it is speedy too. Your 10 year old will be able to figure out how it works even before you. 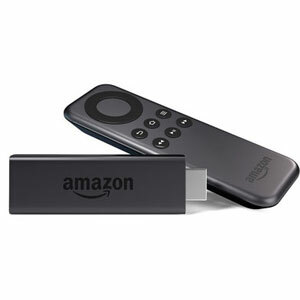 The Amazon Fire Stick plugs into your TV’s HDMI port and streams content from Amazon and big providers including Netflix, HBO Go, Hulu Plus, and more. Come in Agent 10! 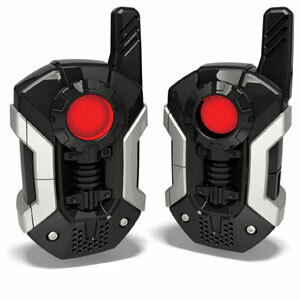 Every spy needs a pair of these walkie talkies from Spy Gear. With this set of walkie talkies you can stay connected with your friends at a longer range than most other walkie talkies. How far? Up to 2 miles way. 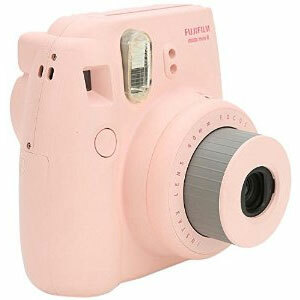 This instant camera From Fujifilm gives modern kids retro fun. It allows you to take a picture and give it to your friends immediately. 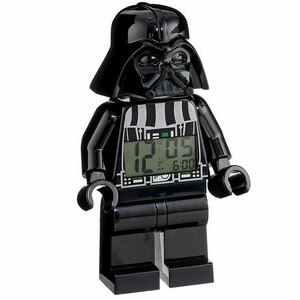 Lego and Star Wars fans will love this huge 9 inch tall Darth Vader Minifigure that is also an alarm clock. There is no better way to wake up. Every bookworm needs this book light. 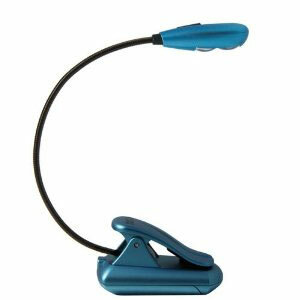 It clips to paperbacks, hardbacks, notebooks, and more. With two levels of brightness, it covers an area of two book pages with ease. Game time! 10 year olds love being fully immersed in an exciting new video game world. There are tons of fun video games geared for boys and girls. Give them the latest in their favorite videogame series or let them experience an entirely new world with these great games. What would it feel like to play on the biggest band? 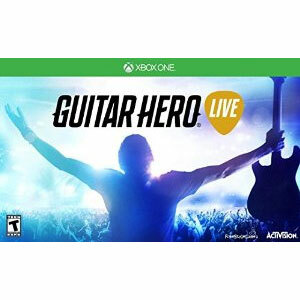 Guitar Hero is back and is more realistic than ever before. With a completely new first person perspective and full motion video, you actually get to feel like you are on stage. The guitar controller has been completely redesigned from the ground up, making strumming feel more realistic with actual chord shapes. With impressive graphics and a strong line up of exclusive games, Microsoft’s next generation console is perfect for any gamer on your list. Earlier this year Microsoft announced a price cut and plans to make the Xbox One backward compatible with Xbox 360 games. There has never been a better time to join the party. 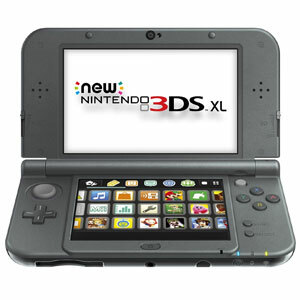 For gaming on the go, the Nintendo 3ds is the best choice. Nintendo’s portable system allows for 3d without the use of glasses. Now Nintendo has improved the 3d feature, making it more robust. With a strong library of titles, it is the best way to play on the go. Making a mess has never felt so fun. This game features adorable squid-like characters that can change into humans. 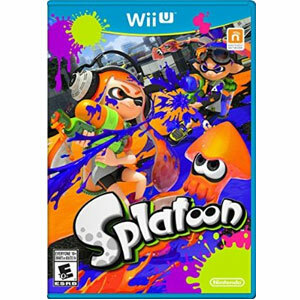 The idea is to splat the most ink everywhere before your opponents. It can be played alone, but playing with pals online is the best. Grab the entire band. The ultimate party game is back. 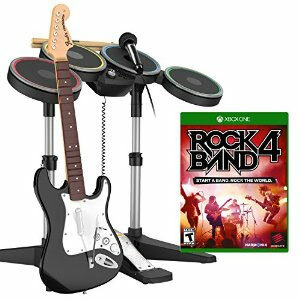 With multiple instruments, Rock Band 4 makes you feel like a real rock star. There will be new instruments but the old instruments will be compatible as well. There are over 60 of the biggest rock tracks from artists like Foo Fighters, Judas Priest, The Cure, Aerosmith, and more. 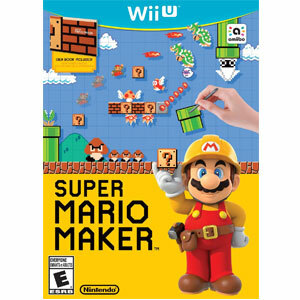 Want to be a Nintendo videogame designer? Super Mario Maker gives you the ability to make your own side scrolling Mario level, right down to the enemies and power ups. Build a tower of turtles or piranha plants. It’s all up to your imagination. Skylanders is back. 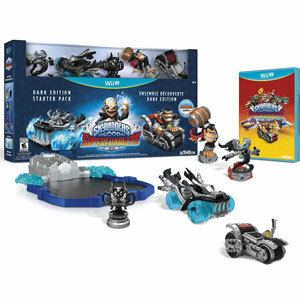 This time we are getting a whole new range of toys featuring incredible vehicles called SuperChargers. You can choose various vehicles, everything from racecars and bikes to submarines and airplanes. All the vehicles can be customized with upgradeable weapons. Sony’s Playstation 4 is the best selling next generation console. 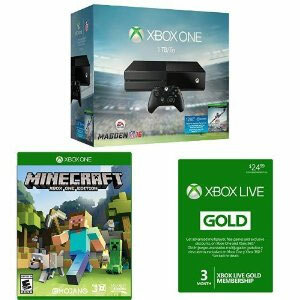 This sleek system has a strong line up of 3rd party games. It is a powerful system with great sharing options. By now, chances are that you have heard of Minecraft. 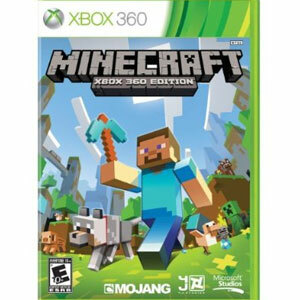 Minecraft has become one of the most popular games. You can now find it on just about every console. Why is it so popular? You get to build stuff in the sandbox world. It’s like an electronic version of Legos. Like Legos, you are only limited by your imagination. 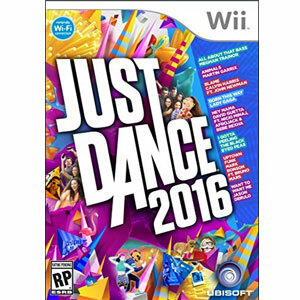 If you haven’t heard “Born This Way” by Lady Gaga enough, the new Just Dance 2016 has it along with other popular songs. Get ready to shake your body to songs from Nicki Manaj, Jason Derulo, Black Eyed Peas, and more. 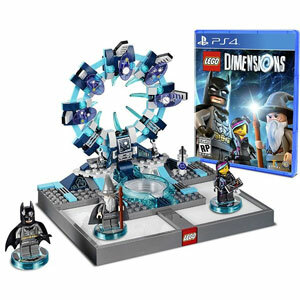 With Lego Dimensions you can bring buildable Legos to life. Imagine Batman, Gandalf, Wyldstyle fighting together. Lego Dimensions breaks the rules and makes these goofy mash ups possible. You can use any character in any world. You’ll play with characters from DC comics, The Lord of the Rings, Simpsons, Scooby Doo, and more. Thanks to the multiple expansion packs, you will experience endless adventures. Sure there are other toys to life games, but Disney is the home of some of the most memorable characters. Two words: Star Wars. 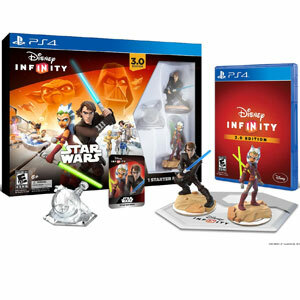 With the Disney Infinity 3.0 starter pack, you get a Star Wars play set plus two Star Wars characters: Ahsoka Tano and Anakin Skywalker. 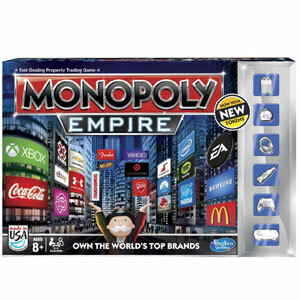 It features the Star Wars Twilight of the Republic game and customizable Toy Box Mode. In Toy Box mode, players can create their own game modes. Additional play sets are available separately based on Inside Out and Avengers: Age of Ultron. Is your 10 year old stuck in the basement conducting experiments like a mad scientist? For those who love to figure out how things work, these science kits make great gifts. Based on the Netflix Original Project Mc2, this oversized ultimate lab kit makes science fashionable for girls. 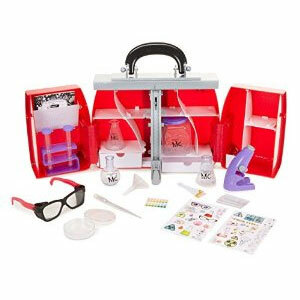 The kit comes with over 30 pieces of science fun including an actual working microscope. There are 15 science experiments designed to appeal to girls like making bubbles, the crazy colors milk experiment, the lava flash experiment and more. Best of all, all of the components fit inside the zip up fashionable tote. Smart is the new cool. 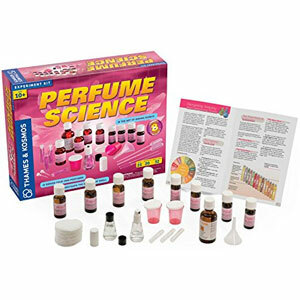 Girls will love experimenting with making their own perfumes with this perfume kit from Thames and Kosmos. The kit includes several perfume oils and all the tools you need to mix your own perfumes. It’s perfect for digging your nose into the science of smell. Snap Circuits Jr. SC-300 is the ideal kit to get your child to understanding electricity. Everything snaps together like building blocks on the plastic snap grid. There is no need for any additional tools. The instructional manual includes step by step directions to building over 300 projects including a radio, doorbell, and alarm. All of the components are color coded, making it easy to follow the directions. What a snap! 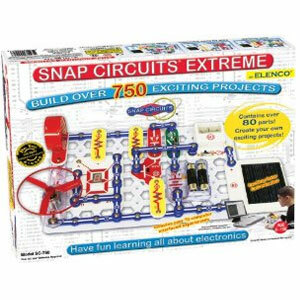 Budding engineers will get a lot out of this large circuit kit from Snap Circuits that contains over 750 experiments. With snap together components, it’s never been so easy to get into circuit design. 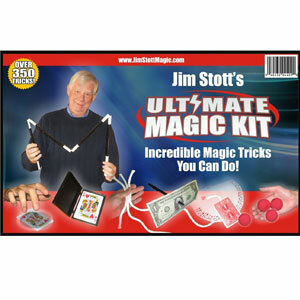 Within minutes of opening the kit, you can quickly snap circuits together, creating all types of cool experiments and inventions like a lie detector, am radio, rechargeable battery, and more. 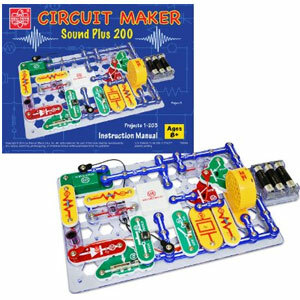 10 year olds will love exploring how sound works with the Circuit Maker Sound Plus 200 from Elenco. The pieces simply snap together. The kit comes with a booklet full of over 200 projects. All the pieces are color coded which makes it easy to follow along with the instructions. 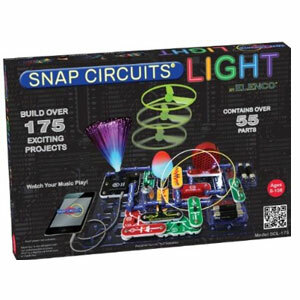 The Snap Circuits Light set features easy to snap circuit components that let kids create over 175 projects. The instruction manual contains clear diagrams of the completed projects with color coded components. As kids put the various projects together they will love seeing all the cool stuff that happens such as lights changing to the beat, glow in the dark fans, strobe lights, and more. 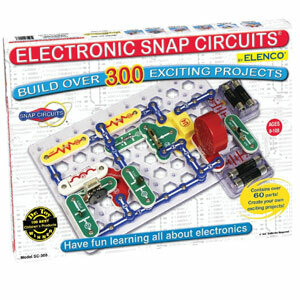 Snap Circuits are a fun way to explore electronics with easy to use snappable components. 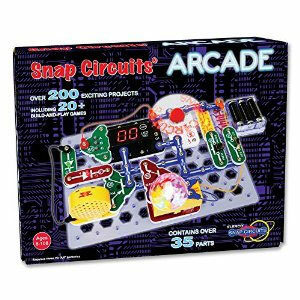 The newest product in the Snap Circuits line is the Snap Circuits Arcade. With over 200 projects, there are so many cool things to see like a light up disco ball or a programmable word fan. With this version, kids not only get to create circuits but can play simple preprogrammed arcade games like rolling the dice. 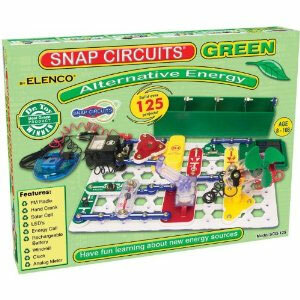 With the Snap Circuits Green Alternative Energy kit, kids will learn all about green energy. Like other snap circuits, the kit contains components that snap together on a board. With over 125 projects, kids will build a hand crank radio, windmill clock, and more. 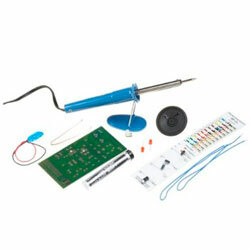 This kit from the Elenco is the best way to learn how to solder. The instructions are laid out like a workbook and contain little quizzes. The kit includes everything you need to get started including the soldering iron, solder, and wire cutters. It takes you from beginner to expert. This award winning kit from Dr. 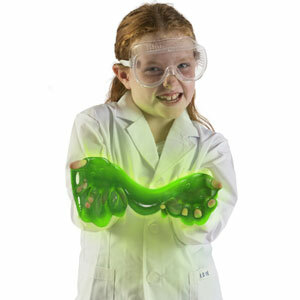 Cool lets you create glow in the dark sticky and gooey slime. The kit contains everything you need. Just add a little water to the powder and you get gross slime. Now kids can explore distant planets, stars, and more with the starter TK1 Telescope from Thames & Kosmos. 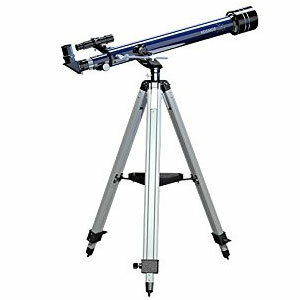 The telescope contains high quality lens optics, durable construction, and a sturdy tripod. Get lost in the cosmos. Little scientists will love exploring the world with this microscope. It’s amazing how different things look under the microscope. Unlike the toy models, it feels like something you would use in school and will last all the way through college. 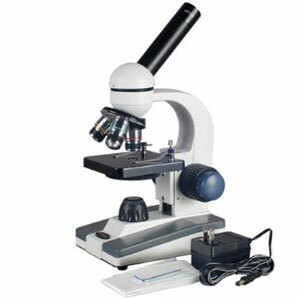 It’s a great way to get kids started on using the microscope. Who doesn’t love robots? 10 year olds will nerd out over these gifts that will help them learn and solve problems in new ways. 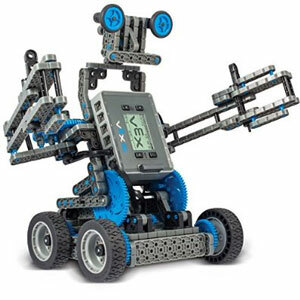 The VEX IQ robotic system lets kids design and program their own robot. There is a ton of functionality right out of the box. Simply plug in the motor and sensor and it works. While no programming is needed, more advanced option can be explored as children grow with the set. Normal Legos are great for building things that don’t move. 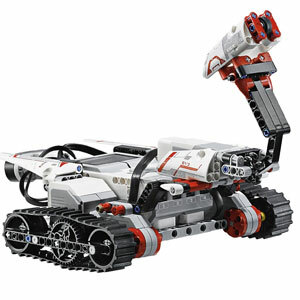 With Lego Mindstorms you can build motorized robots that walk, talk, and can be controlled with a smart phone. It has never been so easy to get into computer technology. 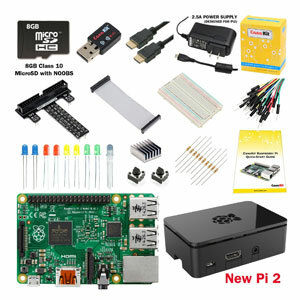 The Raspberry Pi is a inexpensive credit sized computer that kids can experiment with. This kit includes every you need to get started. Simply plug in a usb mouse, keyboard, and monitor. Kids can code this tiny inexpensive robot. With the drag and drop system, it has never been so easy to program a robot. 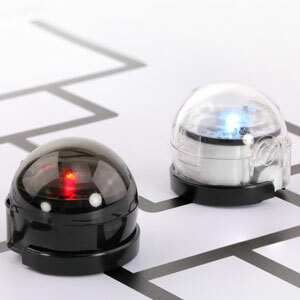 This little robot is great for teaching kids the fundamentals of programming. Every 10 year old kid dreams of making a mod for Minecraft. 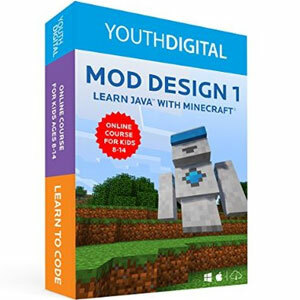 Now you can with this Java course from Youth Digital. The course walks you through the steps to add your own items, blocks, armor, and creatures to game using a mod. Greetings! My name is Meccanoid. 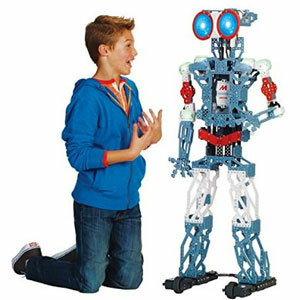 Standing 4 feet tall, the Meccanoid G15 is buildable robot. The kit contains over 1000 pieces. Once assembled, Meccanoid can crack jokes, understand voice commands, and learn custom movements through motion capture or the included app. Additionally, you can move him around like a puppet and he will record and playback the movement. Anything to do with fashion will likely be one of the best gifts for 10 year old girls. Young fashionistas love fashionable gifts. 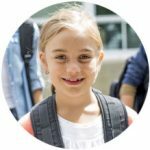 Your 10 year old’s wardrobe doesn’t only have to consist of jeans and graphic tees. 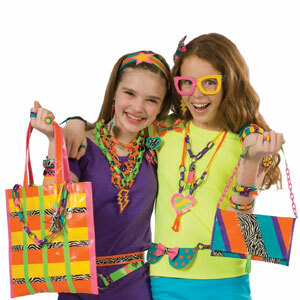 Here are fun trendy clothes and accessories that your tween love. Minecraft fans will fall absolutely in love with this Minecraft Hoodie. Best of all, when you zip it all the way up, it makes a creeper mask on the hood. The mesh material allows kids to look and breathe out of the holes. 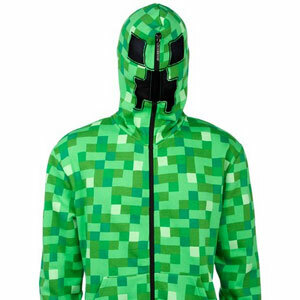 Offered in several sizes, it’s the perfect gift for Creeper fans. 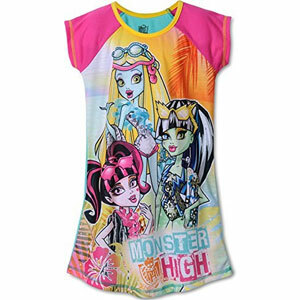 Monster high fans will love this adorable short sleeve nightgown with Monster High, Frankie Stein, Draculaura, Lagoona Blue on it. 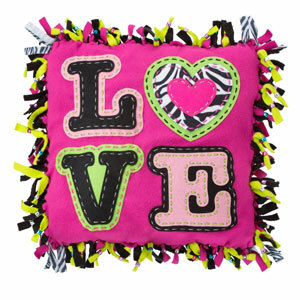 Bright and colorful, every Monster High fan needs one of these. 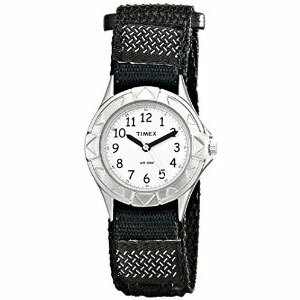 Made out of brushed stainless steel, this watch from Timex has the sophistication of an adult watch but the velcro wrist strap allows kids to easily put it on and take it off. 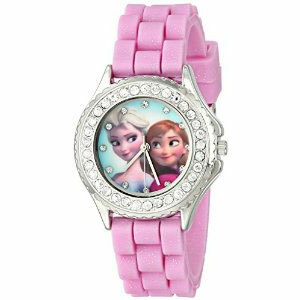 With a beautiful rhinestone bezel, Frozen fans will love this watch which has the sophistication and design of an older watch. Shiny and glittery, it is the type of watch a princess would wear. Glam up! 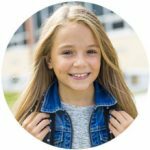 Age appropriate beauty gifts that will make your 10 year old feel more beautiful will likely be a huge hit. Bath spa sets, lip balms, nail polish, and jewelry all make great gifts for 10 year olds. Nothing says “pamper me” than the Sweet Pea Gift Set from Bath and Body Works. The set includes a body lotion, shower gel, and fragrance. The ultra feminine scent is light, fruity, and a treat for the senses. It is definitely a scent that younger girls will enjoy. Everyone is ranting and raving about Baby Lips. It smells so good. When you apply it, it not only leaves the lips soft and supple but it gives them a subtle sheer color. You’ll love your new baby lips. Adding arty personalized accessories makes you awesomely unique. 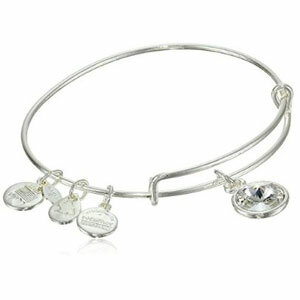 This bracelet featuring a colorful birthstone makes the perfect gift. With 2 levels of storage, this jewelry box has plenty of space to hold all of your glittery jewelry pieces. It comes with a small key to lock your goodies inside. The dark purple color is not only beautiful but it makes it easier to see your jewelry pieces. 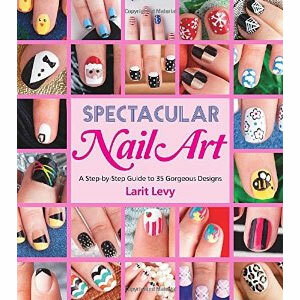 With 35 designs, this handbook on Nail Art walks you through the basics of Nail Art. 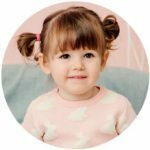 Each simple and cute design is laid out in a step by step fashion that makes it easy to follow along. The designs are simple to do and easy to copy. You’ll find designs for the holidays, everyday looks, and more glammed up looks. Most of the designs are designed for the teenage and tween crowd. Do you love nail art? 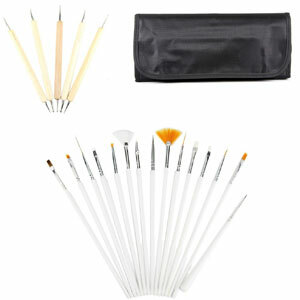 This set comes with everything you need for nail art with many different sized dotters and brushes. 10 year old shoe lovers will appreciate these trendy kicks. 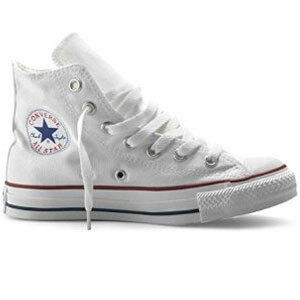 For the first time in 100 years, the original fashionable high top Chucks have been given an update. Meet the Chuck II. It still has the iconic shape but the shoe has been made more comfortable with a new liner. 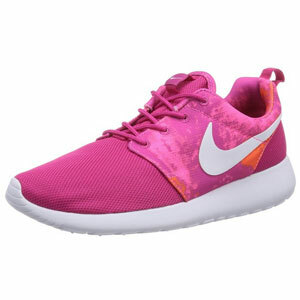 Offered in several adorable and stylish patterns, the Nike Roshe Run are the most fashionable Nike shoes. Made out of a mesh like material, these lightweight shoes offer the perfect fit, style, and comfort. 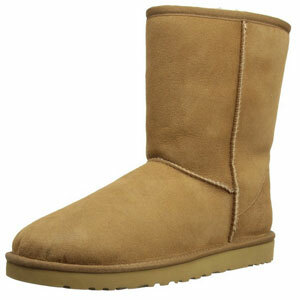 While they don’t come cheap, every 10 year old wishes they had a pair of real Ugg boots. Offered in several cute colors, the classic short Ugg boots are cozy and stylish, making them the perfect complement to any outfit. 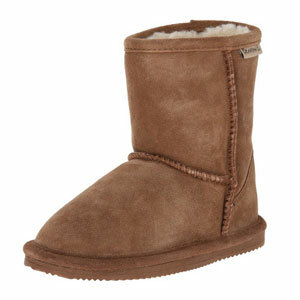 Bearpaw boots are probably the next best thing to a pair of genuine UGG boots. Made out of suede with a rubber sole, these faux pair of UGG boots is just as stylish. Plus, they are not as expensive. Available in multiple colors and sizes, they go with any outfit. 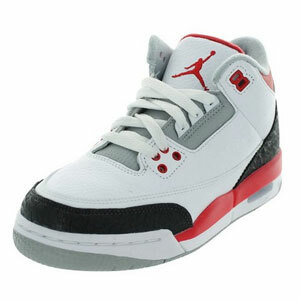 The Air Jordan 3 is one of the most popular Air Jordans of all time. Designed by Tinker Hatfield, the original shoe was released in 1988 when Michael Jordan won his 1st MVP award. Offered in several colors, this shoe remains as popular today as when it was first released. 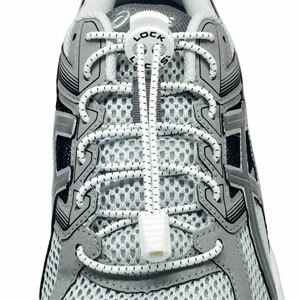 With Lock Laces, you never have to worry about your tennis shoes or sneakers coming untied. They come is so many colors so no matter what your shoe color is, you can find a matching pair of laces. 10 year olds love living in their own private world. A diary or journal is one of the best gifts for a 10 year old. 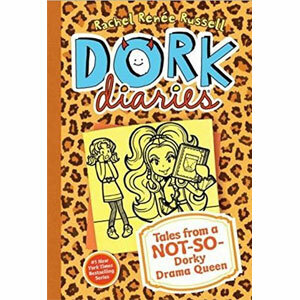 Girls love spilling their hearts into these magical books of secrets. This beautiful journal from Peter Pauper Press is the perfect place to capture your thoughts and dreams. 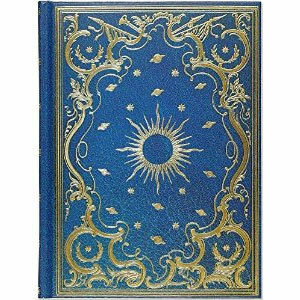 The cover has a beautiful celestial design and each of the pages is edged in gold giving it an elegant look. For those who want their privacy, this super cute diary has a lock. It is beautifully crafted and makes a great gift. 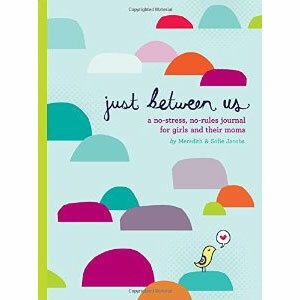 Every mother and daughter needs this mother-daughter journal. The thoughtful writing prompts allow girls to discuss anything. All the pages on the left are for mom and the pages on the right are for the daughter to fill in. The topics cover everything thing from school and family to careers and more. Plus, there are plenty of pages to write whatever is on your mind. 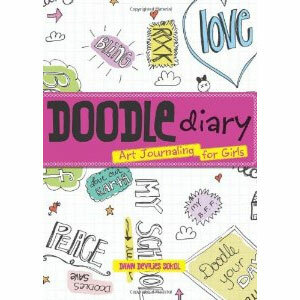 This doodling diary is a great way to start a diary. It’s much more than a place to doodle. Each page has a different prompt for all sorts of creative ideas. The pages are great for discovering who you are. It’s fresh, inspiring, and colorful. It’s a great place to escape. Two words: Lego Minecraft. 10 year olds are obsessed with Minecraft. 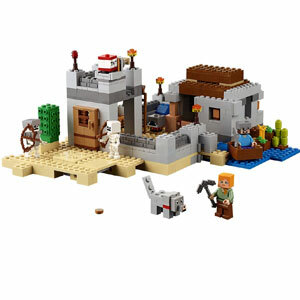 Any Lego Minecraft set will likely be a huge hit. You can’t go wrong with other building sets too. Building sets are one of the best toys for 10 year old girl or boy. Kids never outgrow them. 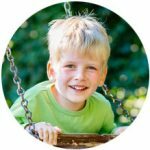 What 10 year old would not love to build spaceships, hotels, or castles? Who can forget when Luke took on Darth Vader? Now kids can relive one of the most iconic Star Wars battles of all time with the help of Lego. Lego has completely outdone itself with this 724 piece Lego set with 5 minfigures. It features a completely new Darth Vader minifigure. Lego has gone out of its way to capture every detail of this epic battle. It is simply our favorite Lego set of 2015. 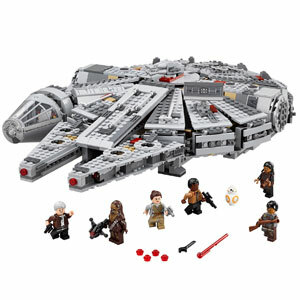 With 1329 pieces, kids can build this revamped Millennium Falcon, one of the most iconic spaceships of all time. It’s the biggest Lego Star Wars set. 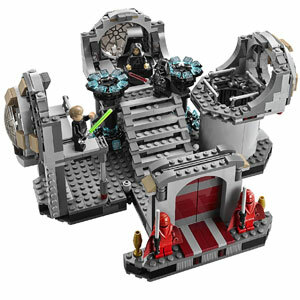 This set features a new detailed design and a detachable cockpit. It comes with 6 minifigures, including Hans Solo and Chewbacca. 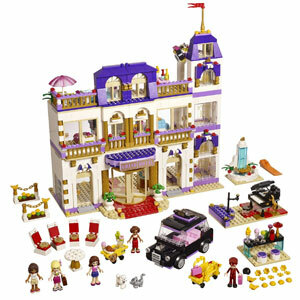 With 1552 pieces and5 minidolls, this set is the equivalent of the Ritz Carlton in Lego land. This 3 story Lego hotel has so many fun areas to build including a lobby, cafe, patio area, and more. From the outside this set looks grand, but step inside and you may never want to leave this 5 star Lego hotel. Lego Elves is Lego’s new fantasy line for girls. Get lost in a world filled with fairies, unicorns, and mystical trees with this 505 piece Lego set. With vibrant and spectacular colors, kids get to build two magical trees that double as sleeping quarters for our magical fairy friends. 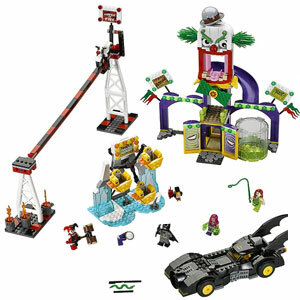 At 1037 pieces, Lego Jokerland is one of the coolest superhero Lego sets yet. The Joker has twisted an amusement park into his own form of amusement with deadly rides and attractions. Each ride and attraction is fun to build. You even get to build the Batmobile. With 8 minifigures, you get a whole cast of characters besides Batman, Robin, and The Joker. This time around The Joker has invited a whole cast of villains including Harley Quinn, Poison Ivy, and the Penguin. At 517 pieces, kids get to build the Nether Fortress. 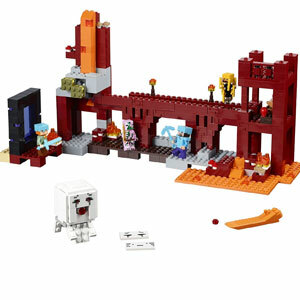 It includes 5 minifigures, Steve and Alex have to battle a Zombie Pigman, a Blaze, and a fireball shooting Ghast. The coolest part? Drop the falling lava block on unsuspecting enemies below. Head to the desert with this 519 piece Lego Minecraft set. This set includes 4 minifigures. This time Steve and Alex are pursued by 2 skeletons but can blow them up with a booby trap. Alex has his trusty pickaxe and Steve has got a helmet and sword to defend himself. If things get too dangerous they can use the wooden boat to escape. 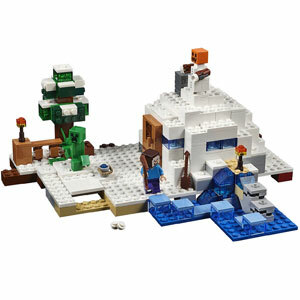 You can almost feel the chill in the air with this 327 piece Lego set. There is no place to swim with the frozen lake out front. With 3 minifugures, it features Steve along with his famous pickaxe, a nasty creeper, and a snow golem that actually fires snowballs. Is your 10 year old into basketball, volleyball, or baseball? 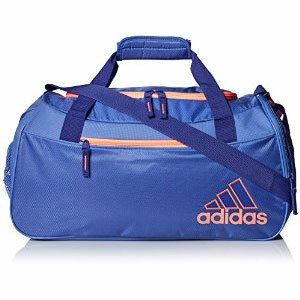 Try sporty stuff like sports equipment, a trampoline, or a new gym bag. 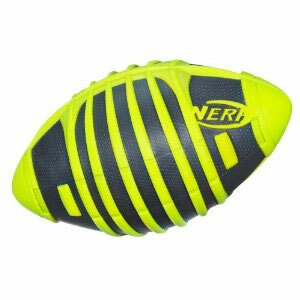 With hi-tech colors, this rugged football from Nerf is ready for all types of weather conditions. The rubber grip makes it easy to throw and catch. It’s perfect for outdoor gatherings, the beach, or picnics. 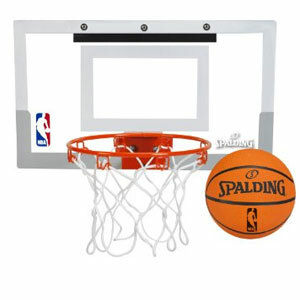 Bring the fun of basketball indoors with this over the door basketball hoop from Spalding. It looks just like the real thing. Simply mount it over the door and get ready for some hoops action. The breakaway rim is perfect for even spectacular dunks. Got a soccer fan? Give them a gold treatment for a good cause. 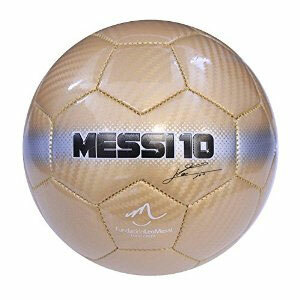 These golden covered soccer leather balls are not only high quality but a portion of the sales support the Leo Messi Foundation. Do you love basketball? 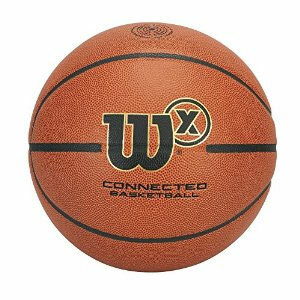 This smart basketball actually helps you improve your game. With the help of an app and bluetooth it can calculate your shooting percentage. It does require the basketball hoop to have a net and it will only track shots that are made at least 7 feet away. Do you got game? 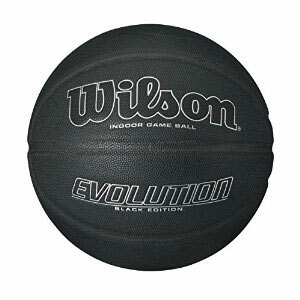 The Evolution is a hugely popular indoor basketball thanks to its high quality construction and superb grip. It feels very soft and comfortable in your hands, rolling off your fingers. And now it comes in sleek black. 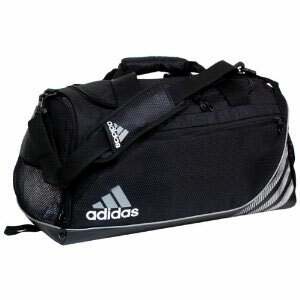 This is one awesome gym bag from Adidas. There are storage areas for small items, a shoe tunnel, an adjustable shoulder strap, and more. The main compartment has plenty of room for your gym clothes. The Squad II from Adidas has tons of organization features despite its smaller size. Designed for girls, it is super spacious and stylish. Unzip the zippered pocket in the front and it actually says “girls rule” inside. There’s a water holder, a shoe tunnel, and plenty of space for gym clothes in the main compartment. 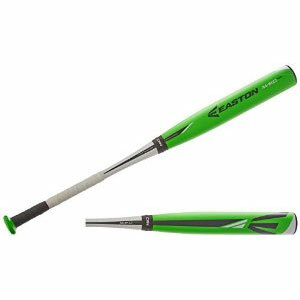 The Easton Mako Torq is the best baseball bat for little leaguers. The green color immediately catches your eye. With a great balance and composite body, it gives you great control at the plate. The twisting handle allows the ball to fly straighter and further than regular bats. There’s a new version out this year. Bounce time! 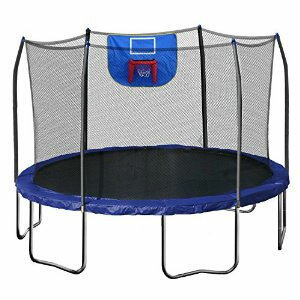 Bring the bouncing action of a trampoline to the backyard with this 12 foot trampoline from Skywalker. With the safety of a net enclosure, kids will love doing backflips and all sorts of tricks. This one comes with a basketball hoop inside for gravity defying bouncing fun. 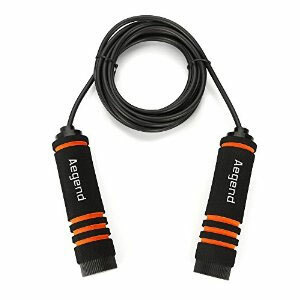 This jump rope is easy to control and the foam handles absorb sweat. Kids will love it because it is fun to hop. Moms will love it because it is great exercise. Get your kids out in the great outdoors with these great gifts. 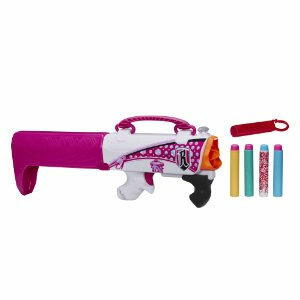 Feel the power of the RotoFury Blaster from Nerf. The darts in this are larger and pack more power. Fire them through the air up to 90 feet and listen to the darts whistle. The rotating drum fires 10 darts at a time without the need to reload. 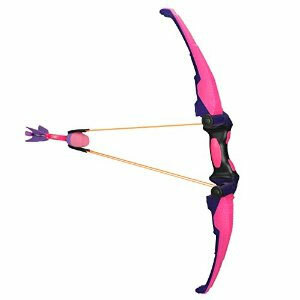 Now girls can run around like Katniss with this pink bow and arrow set from Zing toys. Pull back on the bungee cords to launch the whistling dart over 145 feet away. Even Katniss will be jealous. Now riding a bike got a whole lot more fun. 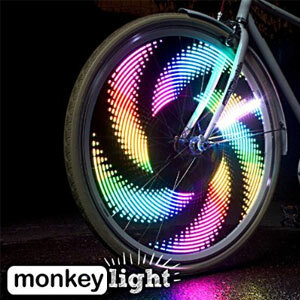 Ride around in style with Monkey Bike Wheel Light. When you pedal fast, it creates a light show on the wheels. It’s a purse. No, it’s a blaster. Every secret spy needs one of these. Press the button and the purse instantly changes into a Nerf Blaster. Nobody will know what hit them. 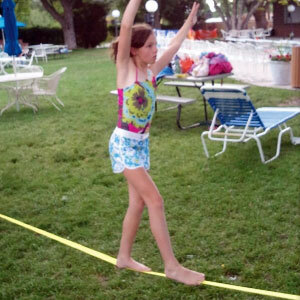 Create an outdoor adventure in the backyard with the Slackline classic set. The Slacker Slackline is essentially a 50 foottightrope that you stretch between 2 trees. After attaching it, kids can then walk, balance, jump, and bounce on it. 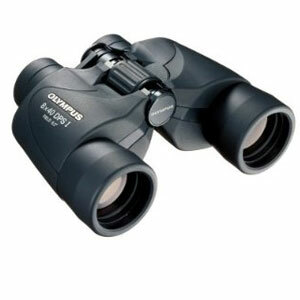 Explore the great outdoors with this affordable pair of binoculars from Olympus. The entire world will look different with one peer through these. Whether kids love hiking or even watching their favorite event, these binoculars are wonderful. Active kids will love a cool new bike, skateboard, or anything with wheels because that is how they roll. 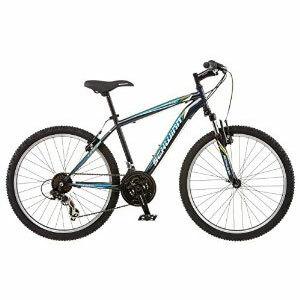 With a steel mountain frame and 24 inch wheels, this bike has the versatility to ride on paved streets as well as off road. 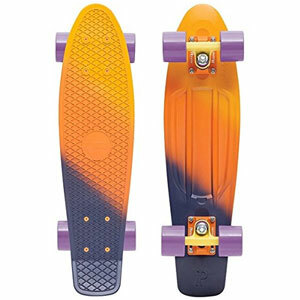 Unleash your inner hipster with this retro designed Penny Skateboard. With several rad graphics, there are many bold designs to choose from. 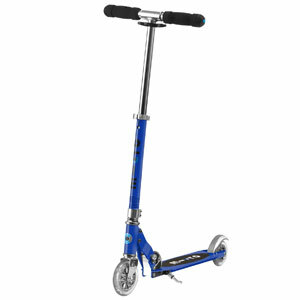 Its ultra lightweight makes it easy to cruise around the neighborhood with very little effort. 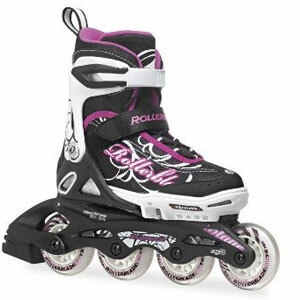 These pair of skates are as stylish as they are accessible. With an adjustable design, it is easy to adjust them to fit snuggly around the foot. Simply push a button and slide the skates to the right size. Scooting around has never felt so effortlessly than with this 2 wheeled scooter from Micro Kickboard. It’s got an adjustable handlebar, a stand, and a spring loaded brake. Unlike other 2 wheeled scooters with small wheels, the Micro Sprite Scooter has larger wheels for smoother turning. 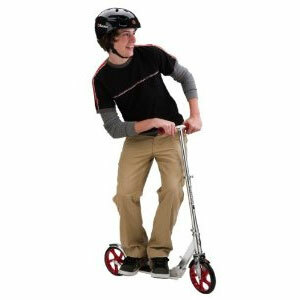 Best of all, the scooter folds compactly. Wish you could carve without the snow? The Ripstick Caster Board from Razor is no ordinary skateboard. The front and back of the board are separated by a crossbar. 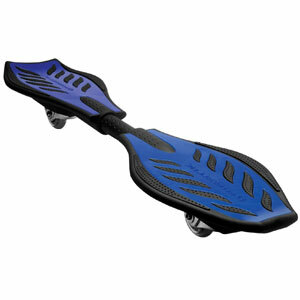 Simply twist back and forth to get the board moving. It’s like carving down the street. With beautiful polished steel, the Razor A5 Lux is a gorgeous looking scooter. The tires are some of the best you will find on a scooter. With the larger 200mm wheels, you really get a great roll with each kick. It’s not a bike or scooter. 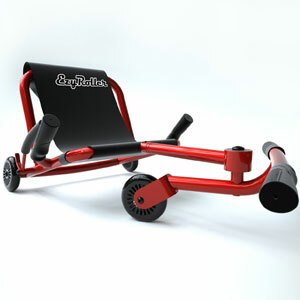 The Ezroller is like a gocart on rollerblade wheels. It doesn’t take much to get the Ezroller moving. Kids simply swivel the front footbar back and forth to accelerate forward in snake like fashion. 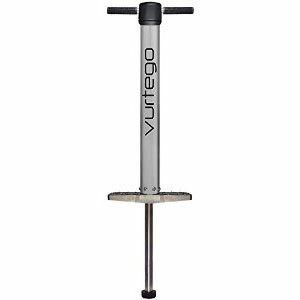 The Vurtego V3 Pro Pogo Stick is the Rolls Royce of pogo sticks. This high performance pogo stick can bounce up to extreme heights. In fact, the Guinness World record was set with the V3 Pro Pogo Stick. It’s like a portable trampoline. Go Vurtego! Does your 10 year old have a passion for all things on wheels? What about things that fly? These vehicle based toys are some of the best gifts for 10 year old boys. What if you could play a car videogame in real life? 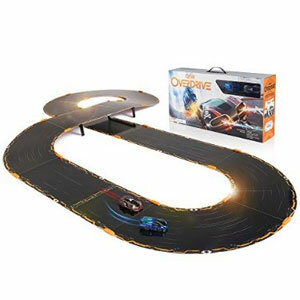 Anki Overdrive let’s you do just that. You race the physical cars using your Smartphone, racing against the AI or a friend. The set comes with 10 track pieces that can be configured in multiple ways, creating 8 unique tracks. You can race or battle on the tracks. 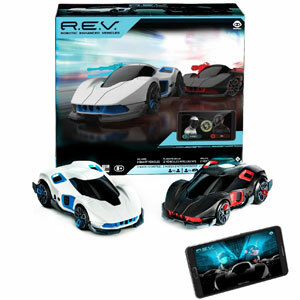 The starter pack comes with two robotic toys, Skull and Groundshock. You just need to download the iOS or Android app to start those engines. Get ready to battle with these robotic enhanced vehicles. The starter pack includes 2 vehicles. Using an app, you do more than drive. The goal is to cause more destruction to your opponent‘s vehicle by engaging in a laser tag-like battle or colliding with them. Take on the AI or a friend. If you love Hot Wheels, you need this set. 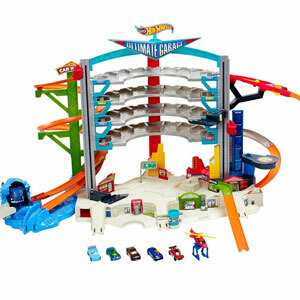 Holding 36 cars, this is the biggest Hot Wheels Garage ever. It includes 5 Hot Wheel cars and a helicopter. Use the 2 elevators to go between the four different levels. Then race down ramps, through tunnels, and more. What if you could control a helicopter with your voice? 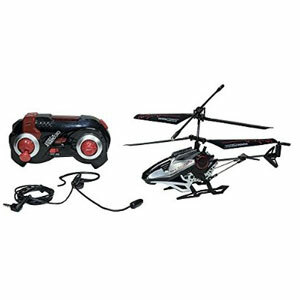 You can control this helicopter using a remote control but using a headset you can control this helicopter with voice. There are 12 different voice commands like “take off,” “turn left”, “go up”, “go down”, and so forth. 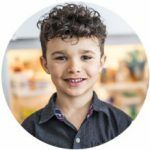 Got a 10 year old that loves food? Then your future foodie will find these gifts irresistible. This is not a toy. 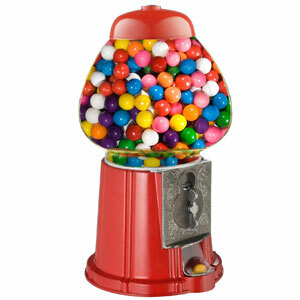 With sturdy glass and a stand, this is an exact replica of a classic gumball machine. It’s beautiful and authentic. You can dispense more than candy and even set it to dispense without a coin. Use it to dispense nuts, Reeses Pieces, and more. Do you like Hershey’s chocolate? Kids will be in heaven with the world’s largest Hershey’s bar. It’s as large as some board games. 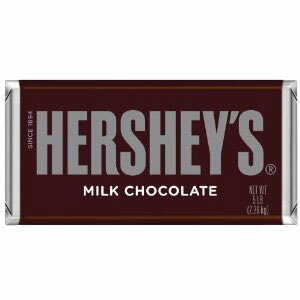 It tastes just like a regular Hershey Bar but is 100 times bigger. Five pounds of delicious chocolate. Yum . . . so much chocolate. 10 year olds will love baking up their own cookies with the Girl Scouts Cookie Oven. It is a real working oven. 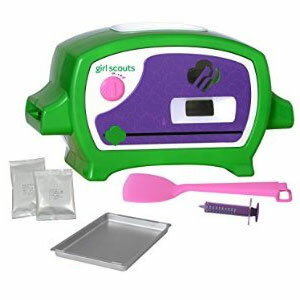 Inspired by actual Girl Scouts, the oven comes with tools and mixes to bake up your own thin mint Girl Scouts treats. Other flavors are sold separately. How cool would it be if you could draw with chocolate? This chocolate pen dispenses real chocolate that hardens in minutes. 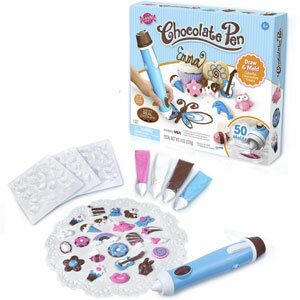 With the included colors, you can make chocolately artwork that is not only fun to look at but eat too. 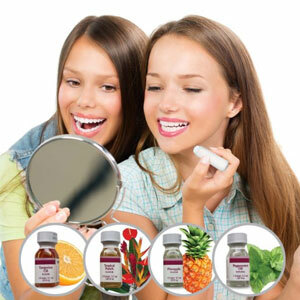 The kit includes the pen, different colors, molds and more. You can use the included designs or make your own. 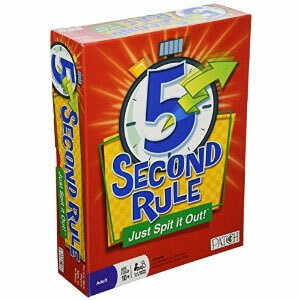 10 year olds love to play board games with friends or with family on game night. Looks for games that make kids feel grown up. These board games are the perfect excuse to spend a little time together. Quick name 3 landmarks in Washington DC. You have 5 seconds. Tick. Tock. Here is a fun party trivia game where you have 5 seconds to answer a question. It comes with one of the coolest timers that counts down the time. You’ll have to think on your feet. Be the first player to make it to the end of the game board before time runs out. 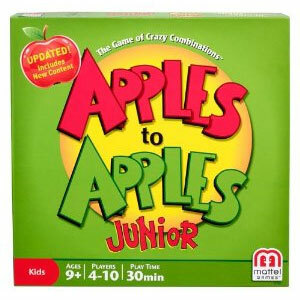 Apples to Apples Junior is a fun party game that is simple to play but offers hours of fun. For each round, one player is the judge. Each player is dealt 5 red cards, each with an object on it. The judge turns over a green card with a quality on it like bad, beautiful, or ugly. Each player has to put down a card that best described the quality. The judge has to pick the best card. Most of the time, the craziest combination wins. Do you love Japanese food? 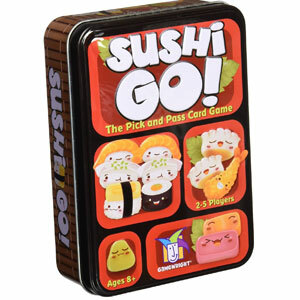 This strategy party game by Gamewright has players competing with each other to pick out the best Japanese dishes. Each card has an illustration of the most adorable Japanese food. Players are dealt a hand of cards and have to choose one dish and pass the rest of cards down. This is continued until all the cards are exhausted. At the end of the round, the combination of cards is scored based on the rules. It is raw fun. 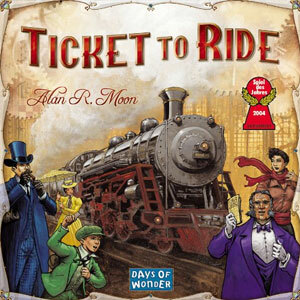 In this award winning game, players have to build train routes to connect cities. The longer routes you create, the more points you score. Sounds simple? It is until other players start blocking your routes. How would like to be King Kong? 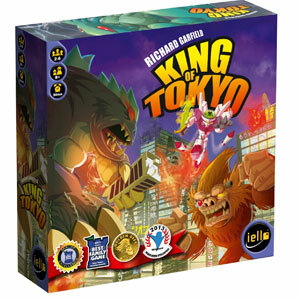 In King Of Tokyo, players are giant monsters rampaging through Tokyo and destroying everything in their path including each other. Depending on what you roll, your monster can do different things. Will you be the last monster standing? 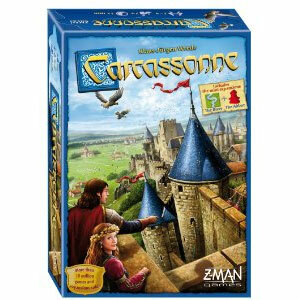 In Carcassonne, players lay out tiles, creating a dynamic city made out of roads, cities, and fields. Each player lays down a tile in such a way that it completes the map in a similar way to a puzzle. Then players put down their followers to inhabit certain areas, scoring a different amount of points. 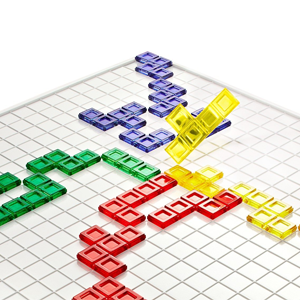 What if Tetris met a board game? You would get Blokus. Each player chooses a color. The idea is to place one of your blocks onto the game board so it touches at the corners with another of your colored pieces. The faces of your pieces can never touch. The player that plays the most of their pieces wins. This is the perfect way to learn how to play chess. There are 56 action cards that depict how each piece moves. Simply draw the cards and move the corresponding piece. 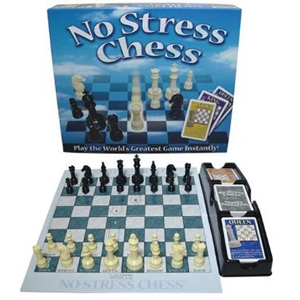 Once you understand how each piece moves flip the board over and play a real game of chess. Build an empire. This version of Monopoly has been streamlined for the new generation. 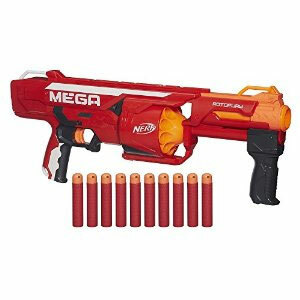 You will find all of the most popular brands represented from Nestle to Nerf. The idea of the game is to buy the most brands, building your empire to the top before other players. How did you do that? It’s magic. Amaze your friends with over 350 tricks from cups and balls to changing a penny into a dime. 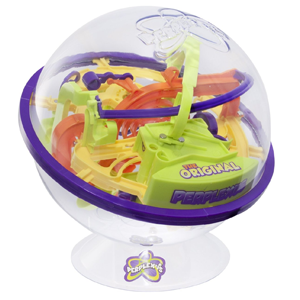 Perplexus is a clear sphere shaped puzzle with an obstacle course inside it. With this puzzle, kids have to guide a small marble through the obstacle course. Kids have to twist, flip, and turn the maze around to keep the ball on the track. To get to the end, you will need persistence and a lot of patience. 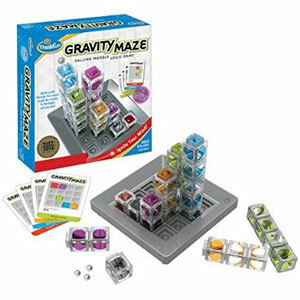 This puzzle game from Thinkfun is a falling marble maze. There are 60 challenge puzzles which are depicted on cards. Simply set up the towers according to the chosen puzzle card. You have to complete the maze by placing the pieces so that the ball will land on the target when you drop the ball through the towers. Ever wonder what it would be like to live in the future? 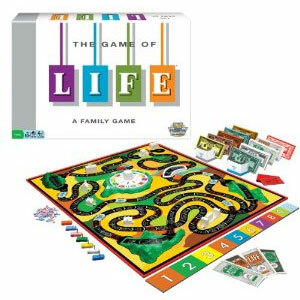 The Game Of Life is super cool because it asks you to imagine what your life will be like when you are all grownup. This is a reproduction of the original 1960s version. Even 10 year olds love Pay Day. The game is set up like a calendar. Each spot on the board offers deals, buyers, bills, or payments. 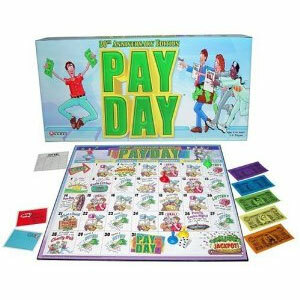 It’s a great game for learning how to budget money. Is your 10 year old glued to books? At any age, you can never have enough books. 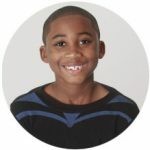 Encourage your child’s love of reading with a popular young adult novel, fun fact books, themed books, books about athletes, or how to draw books. 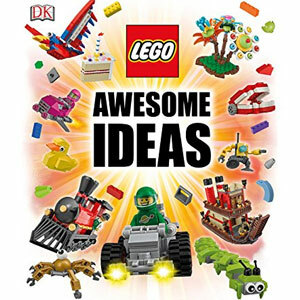 Anybody who loves Lego will have big plans after reading and going through this book. With a great sense of humor, Author Daniel Lipkowitz gives kids so many cool ideas of how to take their building to the next level. The book is divided in four major sections: space, wild west, fantasy, and the real world. Every builder needs this book. Nikki Maxwell is your typical dorky girl just looking to make friends. She always tries to be on her toes, avoiding the school bully, Mackenzie. That is until her survival is threatened when Mackenzie gets a hold of Nikki’s journal. Will Nikki survive? 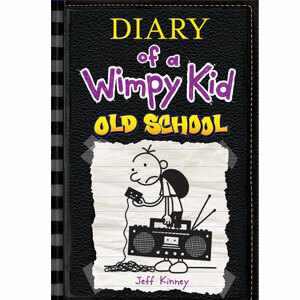 Everybody is awaiting Jeff Kinney’s new book, the Diary Of A Wimpy Kid: Old School. It’s the 10th book in the Diary Of the Wimpy Kid series. The entire town decides to go without electronics and unplugs. Could you survive without your phone, laptop, or tablet? Did you know astronauts aboard the Apollo 7 ate Freeze Dried Ice Cream? 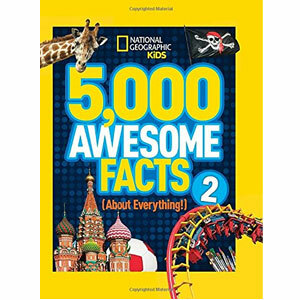 Explore this and 5000 other awesome facts with this book from National Geographic. With so many colorful pictures inside, kids will get a kick out of all the facts. 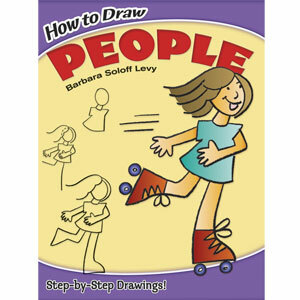 People can be very hard to draw but everybody can to learn to draw people with this fun book. There are over 30 fun characters to draw including a fireman, roller skating girl, and more. The book teaches you how to draw people using simple shapes. Are your kids obsessed with Minecraft? Even the biggest Minecraft fans will be enamored with the cover of this book. It is shaped like a hexagon, making it look like a 3d block straight out of Minecraft. The actual book is pretty helpful too. 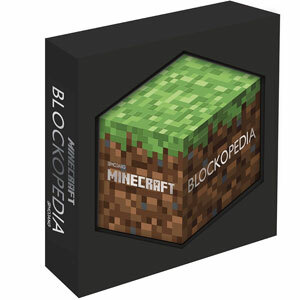 It is an encyclopedia for every block in the Minecraft universe. 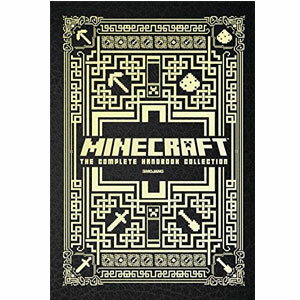 Every Minecraft fan needs this boxed collection of Minecraft books. It has been completely updated. The books are packaged in a gold foil boxed set, making it a great gift. Inside, you will find a collection of 4 books, each offering insight on various aspects of Minecraft including combat, construction, and more. If your kid loves Minecraft, check out this hilarious Minecraft twist on the Diary Of A Wimpy Kid. 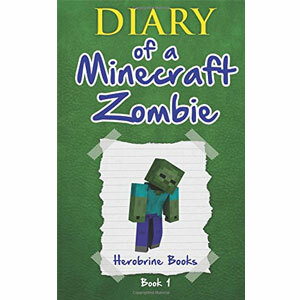 With 86 pages, now you can find out what a Minecraft zombie is thinking. 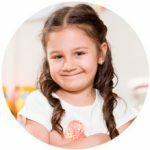 Are you ready to be a little more awesome? 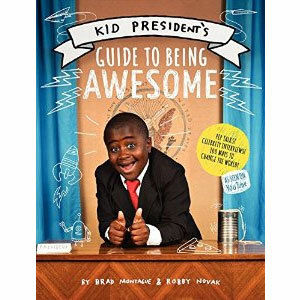 This uplifting book gives you a behind the scenes look at Youtube star Robby Novak also known as Kid President. 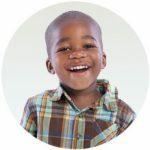 With a fun format, the book captures the joy of a excited kid looking to make the world a better place. The biggest pillow fight involved 4,200 people and took place in the University of California. With the Guinness World Records 2016, find this and thousands of other record breaking trivia on superhuman achievements, Minecraft, Youtube, and more. 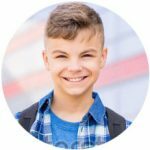 Music plays a huge part in a 10 year old’s life, so iTunes gift cards, an mp3 player, headphones, or tickets to his or her favorite concert will score you major kudos points. 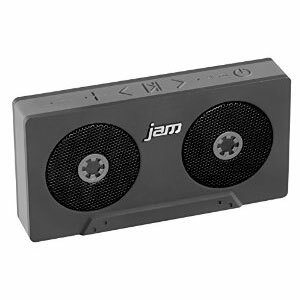 Designed to look like an old retro cassette tape, this Bluetooth speaker connects wireless to your Smartphone or mobile device to deliver great sound thanks to its four speaker design. 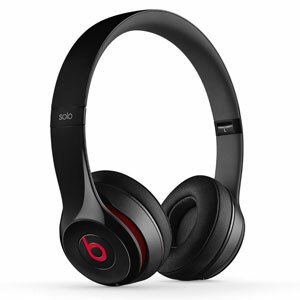 With a great design and improved acoustics and sonic range, this looks like any other high end Beats headphone. That is until you realize that Beats has cut the cord and made it completely wireless. You can stream audio from up to 30 feet way with Bluetooth enabled devices. A cable is also included for wired playback. 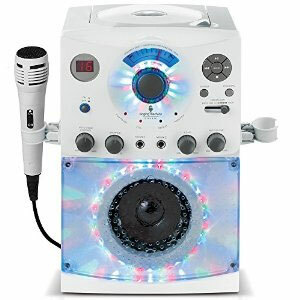 Now you can bring Karaoke Night home with the Singing Machine. It provides endless hours of fun for the entire family. This one actually has an adjustable disco light so you can get your groove on too. 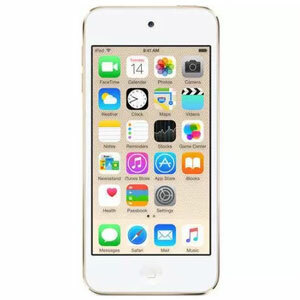 The iPod Touch is still the best mp3 player. It’s like an iPhone without the phone. It can play music, run apps, play games, and more. It’s great for kids who aren’t quite ready for a phone but would love a media player. At age 10, some girls may stop playing with dolls, but they will still love collecting them. These dolls make great companions, making great gifts whether they are on the shelf or out of the box. Part of the Freak du Chic line, Gooliope Jellington is the daughter of the Blob. At 17 inches, this Monster High doll is literally the biggest Monster High Doll of the year. She has on an over the top circus outfit. Celebrate the holidays with Barbie. The Holiday Barbie Doll of 2015 comes in a beautiful collector’s gift box. 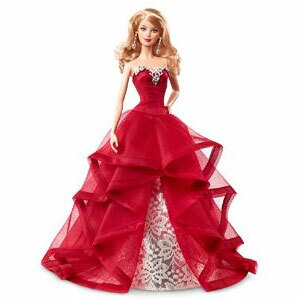 This year Barbie is wearing a magnificent red ballroom dress with a silver inset. Her silvery accessories beautifully complement her red dress. Lights, Camera, Action figures! Action figures are some of the best toys for 10 year old boys. Encourage open ended play with one of the latest action figures from TV shows, video games, or the movies. For 10 year old girls, try Shopkins, which are itsy bitsy miniature collectible dolls. 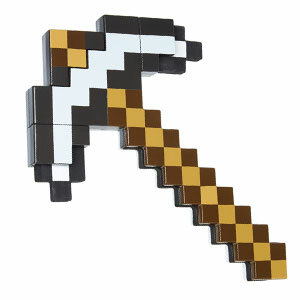 This pixilated axe looks just like the one in the Minecraft video game. That is until you pull the top out and it doubles as a sword. Why can’t they have this in the game? 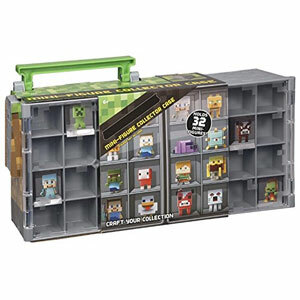 Got a Minecraft fan who loves collecting little collectible figures? Then kids are going to need this to give their collectible figures a home. Minecraft has become a phenomenon. Diehard fans want everything they can get their hands on related to the game. 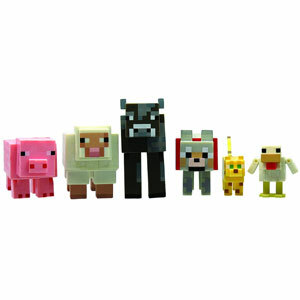 For Minecraft fans, this collection of Minecraft animal action figures is a must have. The pack includes the Chicken, Ocelot, Tame Wolf, Pig, Sheep, and Cow, each with a pixilated design true to the game. Transformers are cool. 6 Transformers are cooler, but this is 6 times as cool. This set include 6 different Voyager class Transformer figures, each with their own transformation. The coolest part? 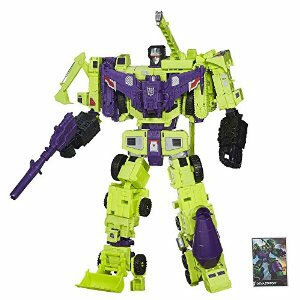 You can combine them together to form a massive 18 inch transformer called the Devastator. It is all kinds of awesome. Who doesn’t love shoes? Even if the Shopkins weren’t a huge hit already, this shoe themed set would be an instant hit. 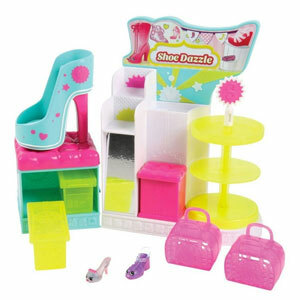 The shoe stand can be used for storing and displaying your Shopkins. It’s like a mini shoe store for your Shopkins. 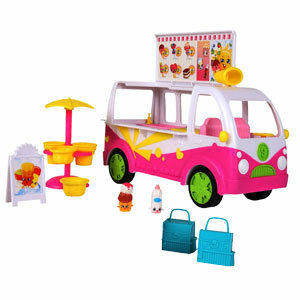 The set includes 2 shoe Shopkins, shoe boxes, shopping bags, and more. It’s heely cool. You could say the Ice Cream Truck Playset from Shopkins is cool. The Shopkins Ice Cream Truck comes with 2 exclusive Shopkins figures. The Ice Cream truck is roomy enough to fit plenty of Shopkins inside. It comes with and ice cream machine, spin blender, and umbrella stand.